The Texas legislature enacted Civil Practice & Remedies Code §82.007 which establishes a presumption in tort cases alleging harm from a prescription drug that a drug’s warning is adequate if approved by the Food and Drug Administration (FDA). This gives prescription drug manufacturers a necessary shield against a cavalcade of lawsuits alleging side effects that a reasonable person should have expected, based upon the warning on the label. 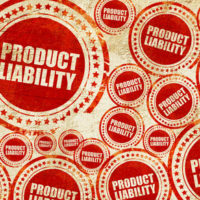 the defendant, before or after pre-market approval or licensing of the product, engaged in conduct that would constitute a violation of 18 U.S.C. Section 201 and that conduct caused the warnings or instructions approved for the product by the FDA. The first potential rebuttal requires a plaintiff to show that a defendant withheld information from, or misrepresented information to, the FDA. However, the Fifth Circuit Court of Appeals ruled in T.R.M. v. GlaxoSmithKline LLC, 2015 U.S. Dist. LEXIS 183272, (S.D. Tex. Aug. 21, 2015) that this form of rebuttal actually preempted under a landmark Supreme Court case, Buckman v. Plaintiff’s Legal Committee, 531 U.S. 341 (2001). The Fifth Circuit determined that the rebuttal did not comply with Buckman because the attempted rebuttal would require a plaintiff to prove fraud on the FDA. Such a rebuttal is in direct conflict with the holding in Buckman. The plaintiff’s lawyer in T.R.M. tried to argue that if Buckman preempted one rebuttal, then the entire code provision should be preempted. Fortunately, the Fifth Circuit did not buy this argument. Courts generally do not engage in a wholesale negation of state statutes. If they find one provision in conflict with federal law, they only remedy the problematic provision. The court also highlighted the fact that the Texas legislature was aware that the fraud-on-the-FDA rebuttal provision could potentially be preempted under the Supreme Court’s decision in Buckman. Therefore, the court upheld the viability of the remaining provisions within §82.007. As you can see, plaintiff’s lawyers will use an array of different tactics to try and gain the upper hand and force drug manufacturers and other businesses into costly litigation. The Brownsville attorneys at Colvin, Chaney, Saenz & Rodriguez, L.L.P. are here to help. We are more than just litigators; we are Texas trial lawyers. Our lawyers are in trial every day, providing strong, effective defense in personal injury cases, insurance coverage disputes, and other matters.